Christopher Nolan has become the rarest of rare things in Hollywood. There are auteur filmmakers out there, but it is tough for them to find success at the box office. Especially with mass appeal blockbusters. With Dunkirk, Nolan has proved that he can make a truly artistic, uncompromising auteur film and it will make bank at the box office as well. Case in point, Dunkirk has officially crossed the $400 million mark at the worldwide box office. 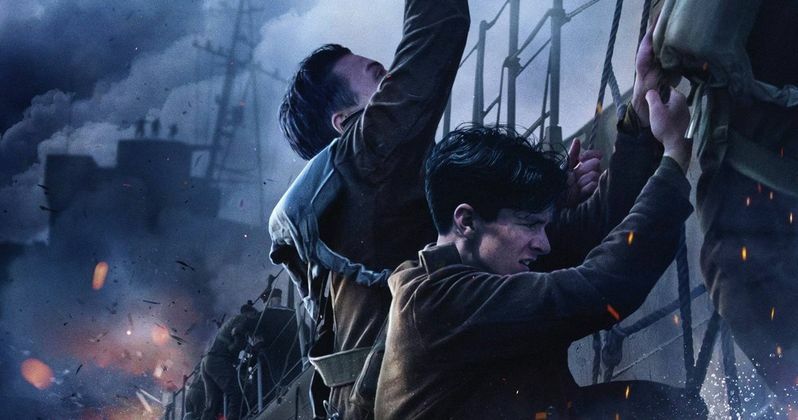 According to Box Office Mojo, with what Dunkirk was able to add to its already impressive total at the box office this weekend, the WWII epic has now grossed $412 million at the box office. The movie is still performing well domestically, coming in sixth place this weekend, adding another $3.9 million to its domestic total, which stands at $172.4 million. Even in a movie without Batman, without complicated dream heists and without even a whole lot of dialogue, audiences will turn up to see a Christopher Nolan movie. Dunkirk is the latest in a long string of huge successes for Christopher Nolan. The director is best known for his work on The Dark Knight trilogy, which have produced his most successful movies to date, grossing a combined $2.45 billion at the box office. He used that success in order to make original, inventive movies that have also been monster successes in their own right. Inception is one of the most original sci-fi movies of the last decade and grossed $825 million worldwide. Now, Dunkirk, a very artistic, truly original war movie that might have been a tough sell in the hands of a lesser filmmaker, has proved itself to be a bright spot in a very bad summer the box office. Dunkirk cost a reported $100 million to make, which makes it a pretty expensive endeavor for Warner Bros. But with the $412 million box office take, it should turn a pretty nice profit for the studio. Not only that, but it looks like the movie could wind up being a hit at awards season as well. As it stands, Dunkirk has a 93 percent approval rating on Rotten Tomatoes and is one of the best-reviewed movies of the year. Even though it is a summer blockbuster, it could very well garner a Best Picture nomination come Oscar time. In a year where tons of franchise movies like Transformers: The Last Knight and The Mummy underperformed at the box office, Dunkirk managed to be a big hit despite not having any superheroes or alien robots in it. Christopher Nolan has not yet announced his next directorial project, but it seems very likely it will be a success merely because his name is on it. Maybe we'll wind up with more movies like Dunkirk in the coming years as opposed to cobbled together franchise entries. In any case, we could be looking at one of those increasingly rare awards season contenders that also happens to be a huge box office success.